WASHINGTON — Realtor.com has plans to allow consumers to search for agents based on their transaction history, and it needs multiple listing services’ sold data to do it. That’s a message Russ Cofano, senior vice president of industry relations for realtor.com operator Move Inc., took to Realtor association and MLS executives on Wednesday at the National Association of Realtors’ midyear conference, the Realtors Legislative Meetings & Trade Expo. Realtor.com is NAR’s official consumer website. “Agent search is becoming extremely meaningful, and it’s going to be meaningful to us as well,” Cofano said. “Any meaningful search requires sold data” because consumers want to see which agents are buying and selling properties, he added. In order for realtor.com to compete in the agent ratings and reviews space, it needs MLS sold data, Cofano said. Realtor.com’s main rivals, Zillow and Trulia already offer consumers the ability to search by agent’s past sales. Realtor.com’s new search function is slated to launch sometime this year. Yesterday, realtor.com launched a new ad campaign designed to attract consumer traffic, but whose commercials were absent of Realtors. At the same time, realtor.com has rolled out new “industry-friendly” features this week that aim to “give back” to agents, brokers and MLSs. As with other realtor.com initiatives, the new search tool will have to walk a tightrope between pleasing consumers and pleasing the real estate professionals who give the site its name. Realtor.com’s first attempt at connecting consumers to agents based on agents’ past sales did not go well. In July 2013, the site began testing an agent search tool called AgentMatch in two markets, allowing consumers to search for agents by city, ZIP code and neighborhood, and filter results according to MLS statistics like the number of listings represented, homes recently sold, average days on market for homes sold, and list-to-sale-price ratio. AgentMatch was controversial — many agents raised concerns about the validity of statistics-based rankings — and realtor.com shut down AgentMatch testing in December 2013. The new agent search feature will be consumer-oriented but industry-friendly and fair, Cofano said. “It’s not like AgentMatch,” Cofano told Inman. He declined to elaborate on how the new search function would be different from AgentMatch or on the lessons learned. “I’m not going to really get into that,” he said, adding that the new search tool was still “very much in the development process.” The site has not yet pinned down which filters — transaction-based and not — the new tool will offer. “It is still in a conceptual stage, but we believe consumers want to be able to search on a variety of characteristics about an agent, which include, but are not limited to, transaction data,” Cofano said. Agents will be able to opt out of having their data appear on realtor.com — but only if they choose not to have a profile, according to Cofano. “In other words, if an agent doesn’t want a profile, then their transaction data is not going to be there. But if they want a profile, then their transaction data will be part of the profile, presuming we get transaction data from MLSs,” he said. Currently, realtor.com receives sold data from MLSs representing about half the nation’s Realtors. At least some of these MLSs provide Move with sold data in exchange for the company’s “Find” natural-language search tool. Currently, realtor.com’s “Find Realtors” tool allows consumers to sort results alphabetically by first or last name, or to apply a few filters, such as professional designations and certifications. 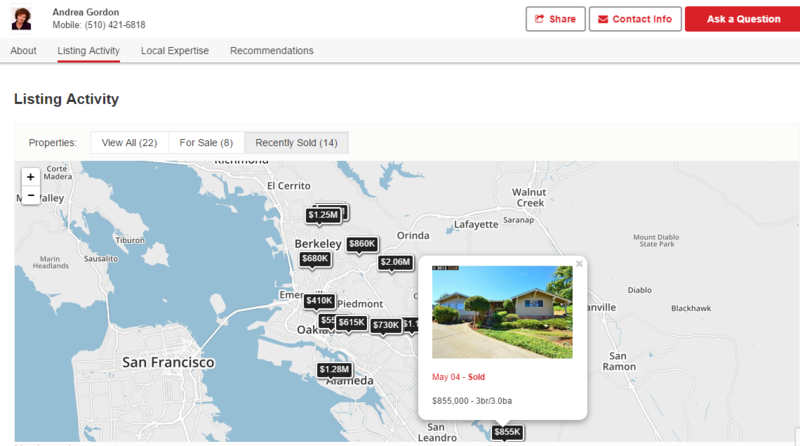 A search for Realtors in Emeryville, California, returned 326 results, with no way to tell which agents are the most active, unless one clicks each profile to see if an agent’s MLS-sourced listing activity appears. To display sold data for profiles. To allow consumers to click on sold properties. “We’re not going to use the data for any other purpose,” he said. In an open letter to brokers today, realtor.com reiterated its commitment to “industry-friendly” principles such as not commingling for-sale-by-owner listings with broker listings and not displaying value estimates for for-sale properties — both of which are things that Zillow does. Listing firm links on all realtor.com listings that connect consumers to listing detail pages on the listing broker’s website. The linkbacks are “SEO-friendly,” Cofano said, meaning they don’t have “nofollow” tags that tell search engines not to crawl them. Brokers will have to log into their control panel and designate a linkback URL in order for it to appear, however. It is not automatic. Starting in early March, listing firm and agent attribution became more prominent on the realtor.com listing display page. If a Realtor claims his or her realtor.com profile, the listing display page will also link to their profile. Listing content will now be equal regardless of whether an agent is an advertiser or not. 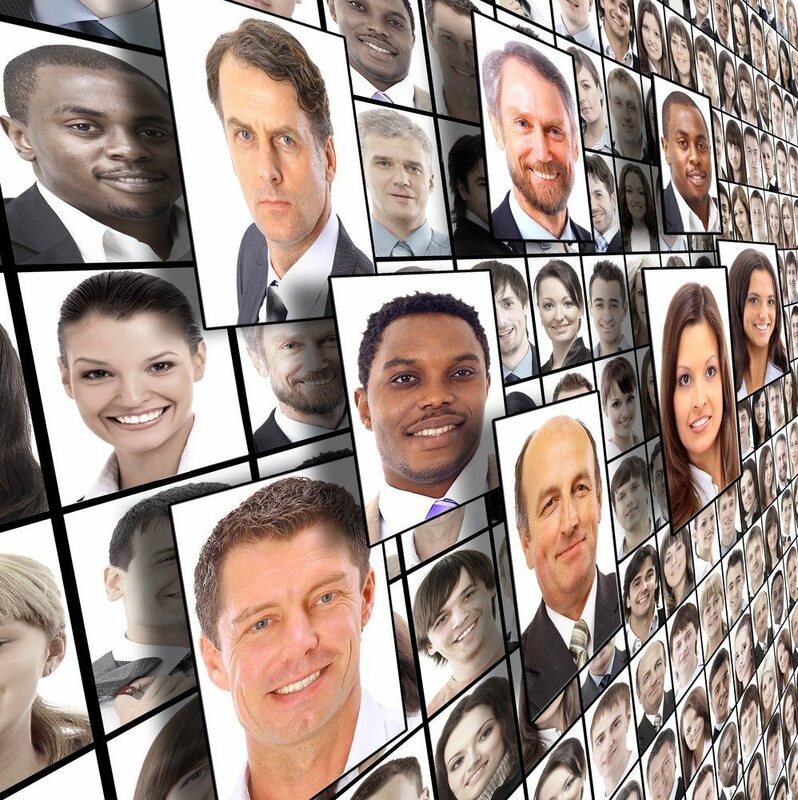 This means that all listing agents will now be able to upload up to 36 photos with their listings. Some agents have griped about a previous restriction to only four photos unless an agent paid to advertise. By the end of August, all listing brokers and their agents will be able to see metrics for their listings, including realtor.com local search results, listing views and potential buyer interest. (Currently, only Showcase customers receive this service.) Agents will be able to share the metrics with their sellers to show that realtor.com is truly the best value proposition for showing listings, Cofano said. By the end of July, MLS copyright text will be displayed as the listing source on all active realtor.com listings. “There was a time when the industry looked at realtor.com and said it was slow-moving and following and not interesting,” Cofano said. He hoped that by the end of this week, real estate pros will think just the opposite.